Safety and quality assurance are top priorities at Endenburg. This is the reason we deliver and test new equipment – as well as inspecting the equipment once it is in use – according to current regulations. Not only do we perform these inspections at shipyards and construction cranes on location, but also in our own workplaces. For new, existing and assembled equipment that complies with regulations, a certificate is issued. It might be important for you to know which certificates were issued in your name. From now on, these will be made available to you in our Sharepoint Certificate Portal. This is a new service provided by Endenburg for our customers. The portal includes all certificates issued after January 1, 2011*. If the status of your certificate changes, you will automatically receive an alert. You can also request paper certificates: in this case, a single copy of the original certificate will be issued once for every shipment. User-friendliness is crucial. You can search, organize and adjust your screen. You can download and print your certificates. Another useful option is to import your certificate to an Excel file. In other words, we trust the new portal will support you in managing the certificates for your equipment. 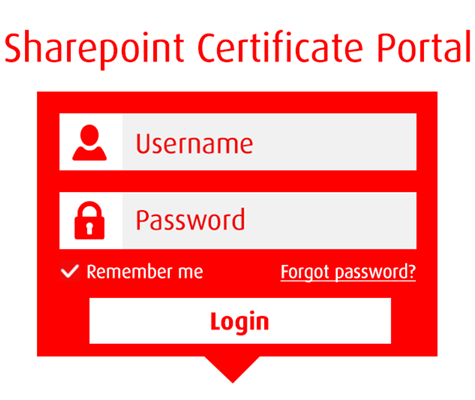 How Can you Access the Sharepoint Certificate Portal? Would you like direct access? Please send an email to sp@endenburg.com and you will receive a personal code consisting of a user name and password. You can also approach your own contact within our organization by sending an email or call us: +31 (0) 182 79 65 24. You will be provided access to the secure website, where you will be able to view your own certificates.